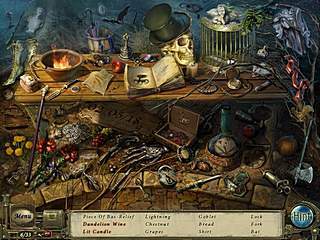 This Friday is marked with another great hidden object/adventure game for the fans of the genre. Those who are new to the genre will enjoy the game too. It features everything it takes for a good game - challenging levels, search for inventory, beautiful graphics. The investigation will be a success only due to your hidden object, puzzle, and adventure skills. 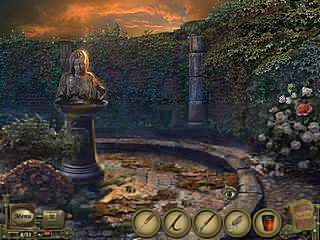 Dark Tales: Edgar Allan Poe's - The Premature Burial is another game in the series known for their high production values. This time you are taken on journey to investigate the sudden death of Victorine as Detective Dupin's assistant. The investigation will be a success only due to your hidden object, puzzle, and adventure skills. The game looks absolutely beautiful and realistic. The graphics are wonderfully drawn and voiced over. The sounds and music complement the images before you completely creating the required atmoshere. The game consists of the familiar elements of the games of this genre. You will do a lot of interactive searches going back and forth in between the scenes. That part of the game is not ver easy and there isn't a hint option for these levels. But there is a strategy guide available to you at any step of your journey. There are also hidden object levels with tons of items in the scenes. That's where the hint button is available. Then there are also quite a few puzzles fro you to solve along the way. This creepy game with its dark story for you to unravel is good way to kill a few hours at the end of the week. A munite saved is a minute earned, and this saved hours! This is Dark Tales: Edgar Allan Poe's - The Premature Burial review. Download this game here.